Let’s get together and Hack the Planet! Activists combining independent journalism and helping hands will break free from stationary constraints to serve as a nomadic support system for groups nationwide. 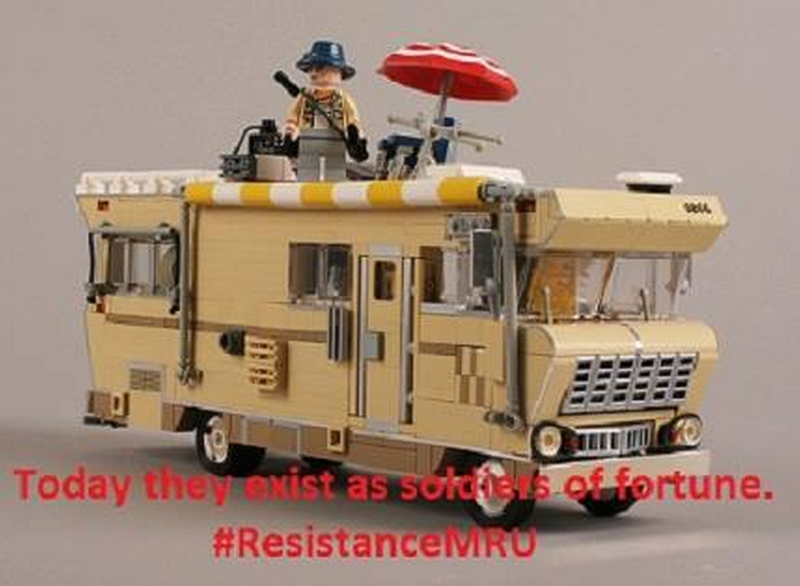 The Resistance Mobile Response Unit Project! Activists, including Fifth Column journalist Alex Freeman are initiating a campaigns to raise funds towards the purchase of a mobile command center, the Resistance Mobile Response Unit. The purpose of this unit will be to promote sustainable agriculture, energy, and community building as well as to facilitate on the ground, direct coverage of events as they occur, from a trusted independent news outlet. Freeman and other activists plan to lend direct support to activists in need of transportation as well as communities in need of support to care for the homeless develop enclaves for off the grid living, in between protest and event stops. “Having a movement is one thing. But the problem with movements is that most people don’t move. The Resistance Mobile Response Unit will take steps to move many movements forward with real alternatives and solutions to the social problems that we all face daily. As the reach of the global police and surveillance state and corporatocracy continues to extend and permeate all aspects of living, these activists decided that more can be achieved to reestablish respect for individual liberty through the acquisition of a low cost RV. Itself a model for a possible solution to many of the major issues angering activists across the country, the Resistance Mobile Response Unit will be able to further unite local activist groups by strengthening the networks of solidarity and communication between them with more secure methods of communication than exist online. In order to demonstrate this solidarity, the Resistance Mobile Response Unit will feature the signatures of groups it works with to achieve law enforcement and political accountability locally, as well as corporate and political accountability nationally. Already endorsed by The Fifth Column News, The Pontiac Tribune, The Free Thought Project, Unite Ohio, Awakened Cincinnatians, Houston Free Thinkers, The Chicago Anonymous and the Coffee Party USA, Freeman anticipates this idea will inspire many across the country. “This is going to revolutionize activism, the way we connect and the way we communicate,” said Jeremy Deeter of Unite Ohio. One member of the III% Militia expressed “so much like” for the idea. Several others in Colorado, Texas, Ohio, Oregon and New Hampshire have expressed a desire to follow suit, making this campaign a beta-test for nomadic activists in the internet age. Freeman is optimistic that the goal of $7,500 can be reached relatively quickly. “Small contributions add up quickly. It takes fewer than 500 people to reach that goal if those few chipped in 15 or 20 bucks.” He also states that by going through patreon.com, supporters can assist one time only, monthly or towards specific projects within the idea. Supporters of the Resistance Mobile Response Unit Project can contribute on the YouCaring site, and follow its progress and travels on Facebook. Alternatively we ask you to visit Patreon to support the project. Press Release modified by Kitty Hundal.